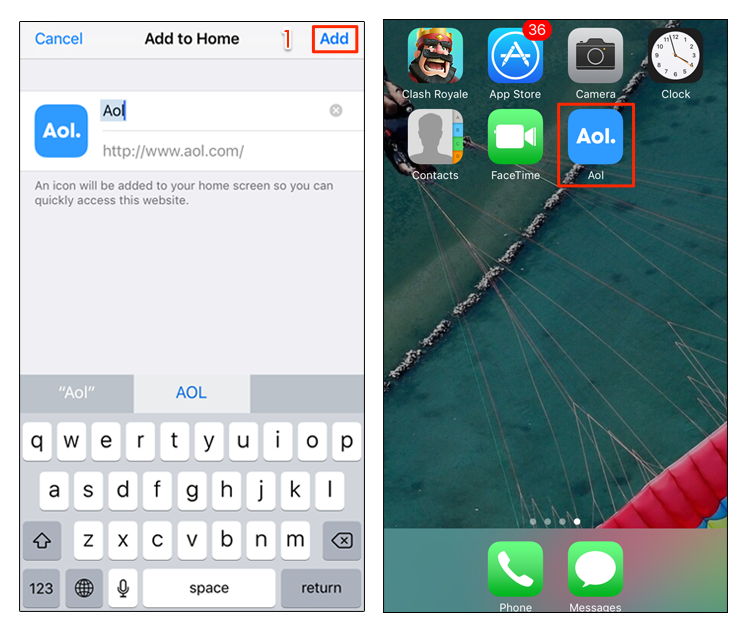 This post tells you how to create a website shortcut on your iPhone 7 home screen to help you quickly access your favorite website. Download AnyTrans to manage your iPhone iPad iPod after reading this post on how to add bookmarks to home screen of a new iPhone 7. 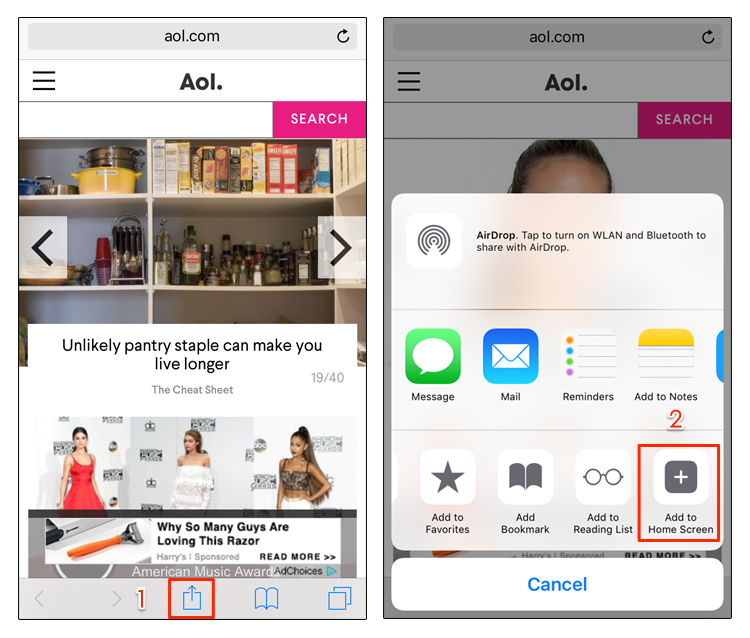 You may have found that you repeatedly do the same thing on your new iPhone 7 to visit some of your favorite Safari bookmarks by running Safari, finding the bookmark and tapping it. So why not create some shortcuts on home screen of your iPhone 7 to quickly visit your favorite sites by 1 tap? iOS 10 enables you to add websites to home screen on your iPhone 7 or iPhone 7 Plus for quick visits. And the websites added to home screen look like apps. Below follow us to know how to add your favorite sites to home screen step by step. Step 1. Run Safari on your iPhone 7, and visit your favorite site. Step 3. Name added website and tap "Add" to put them on home screen.